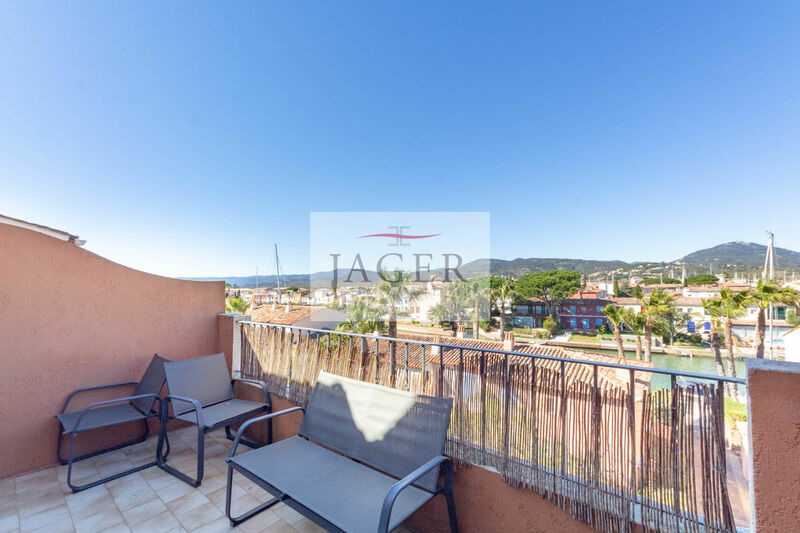 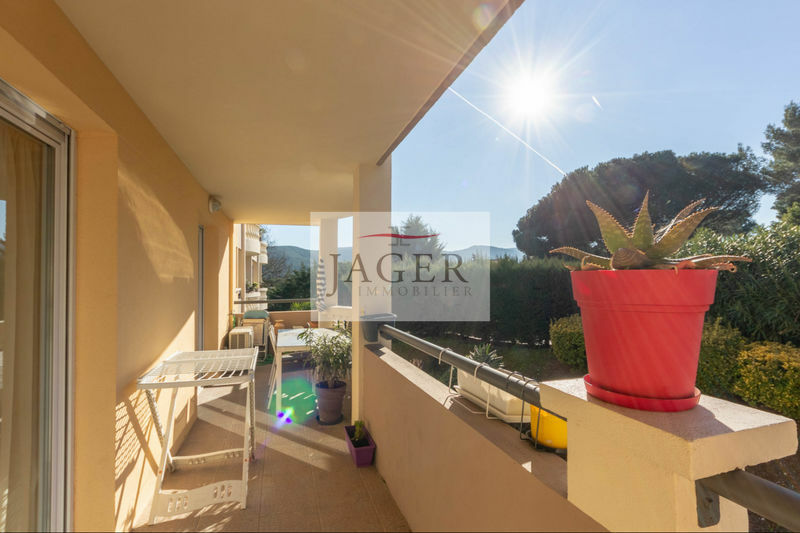 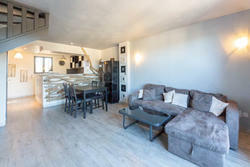 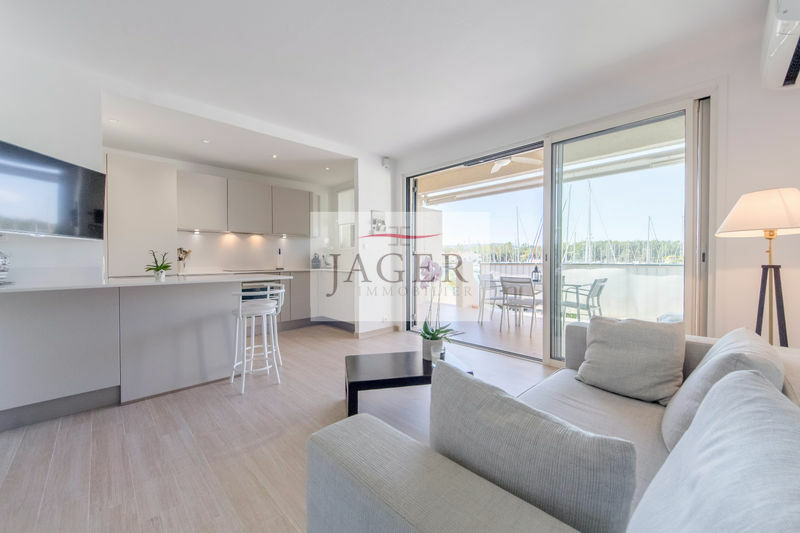 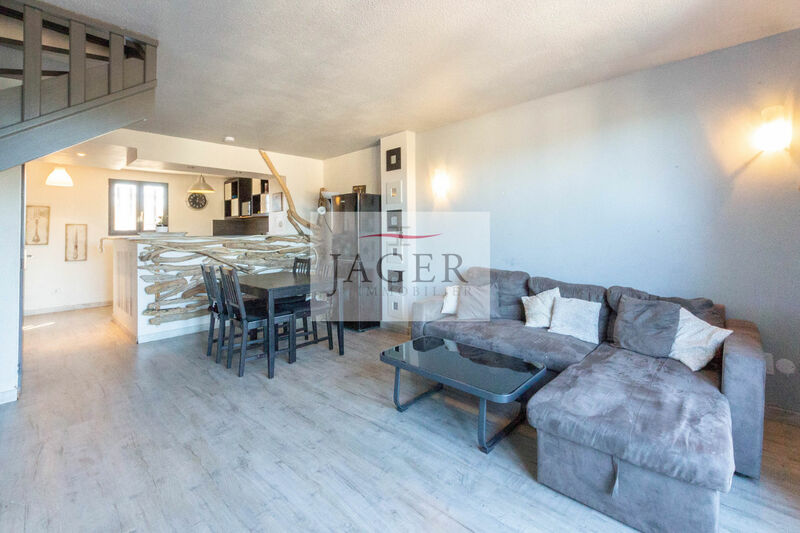 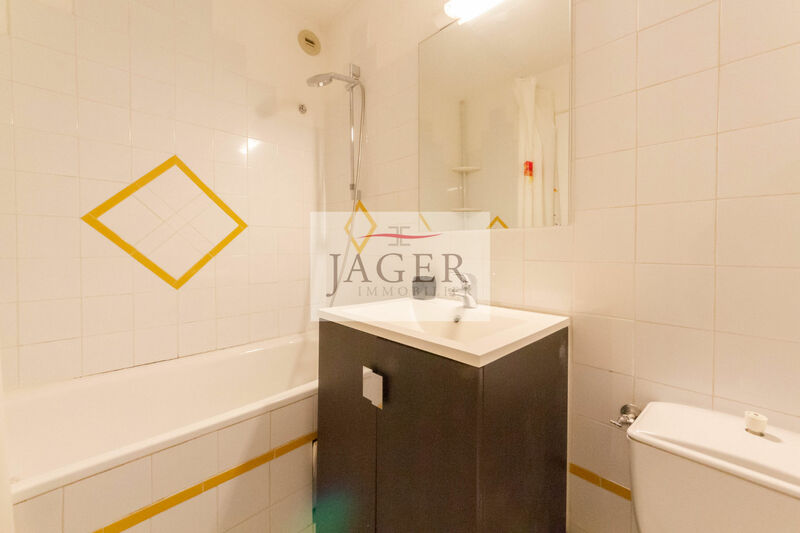 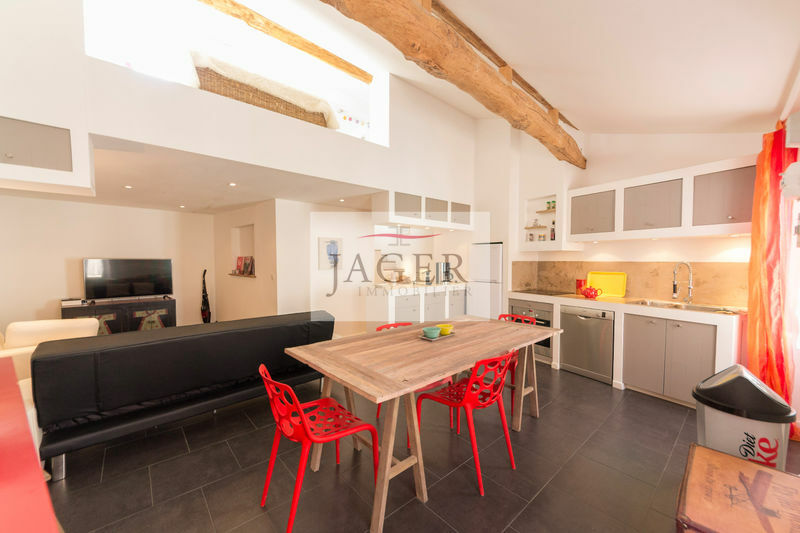 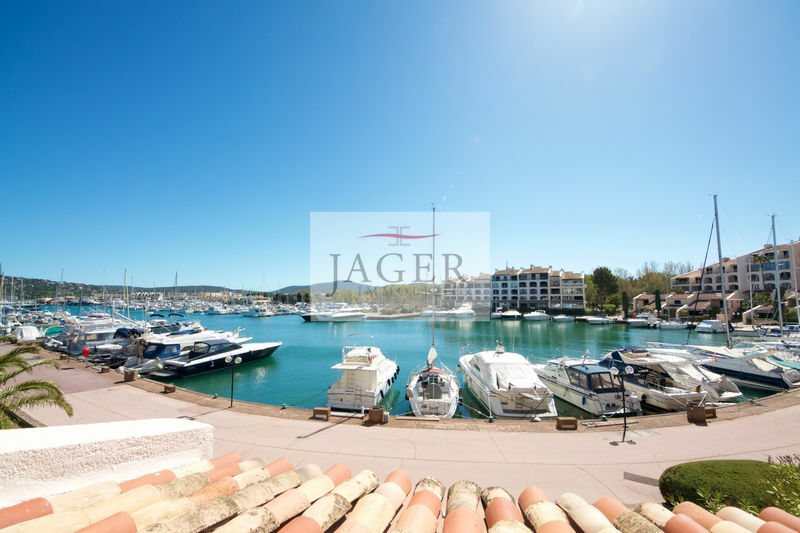 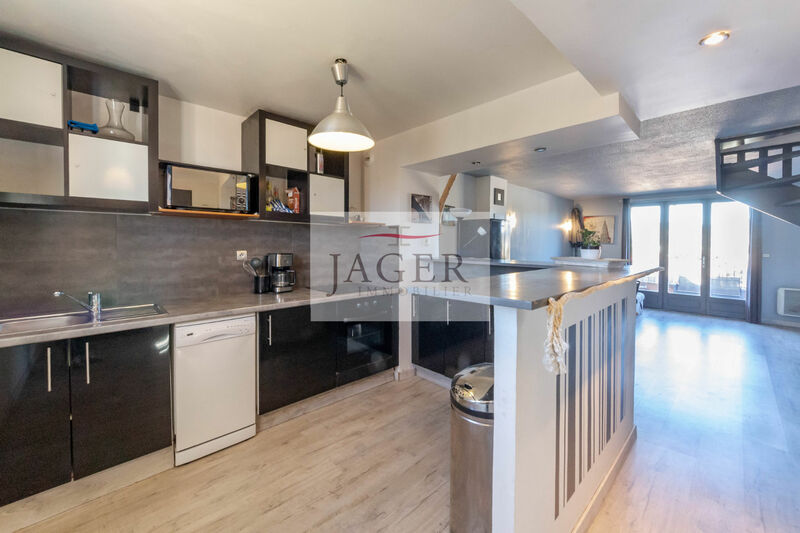 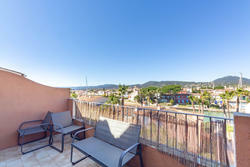 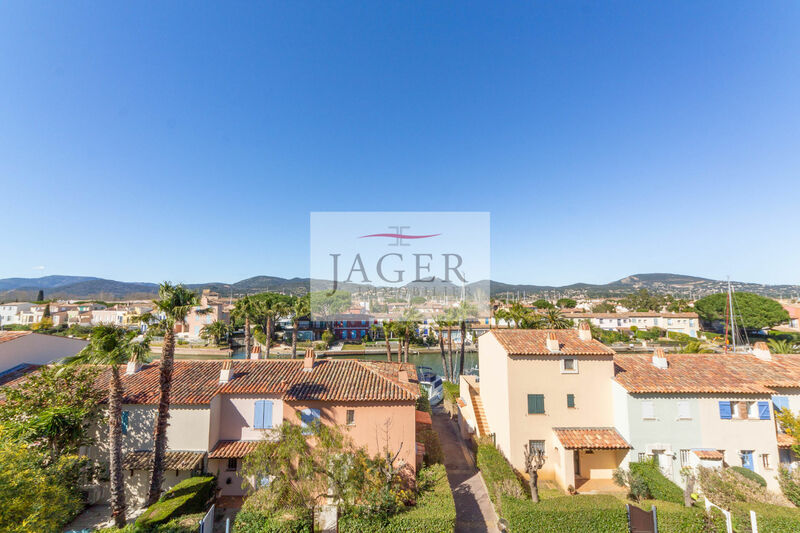 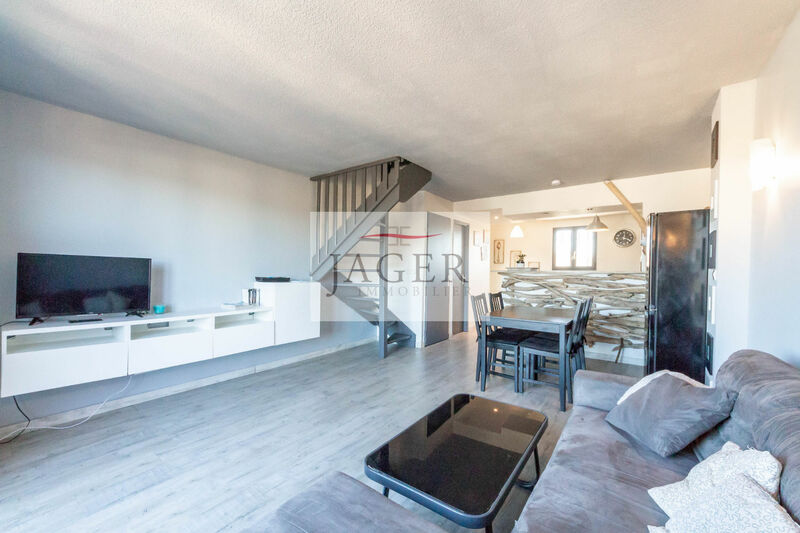 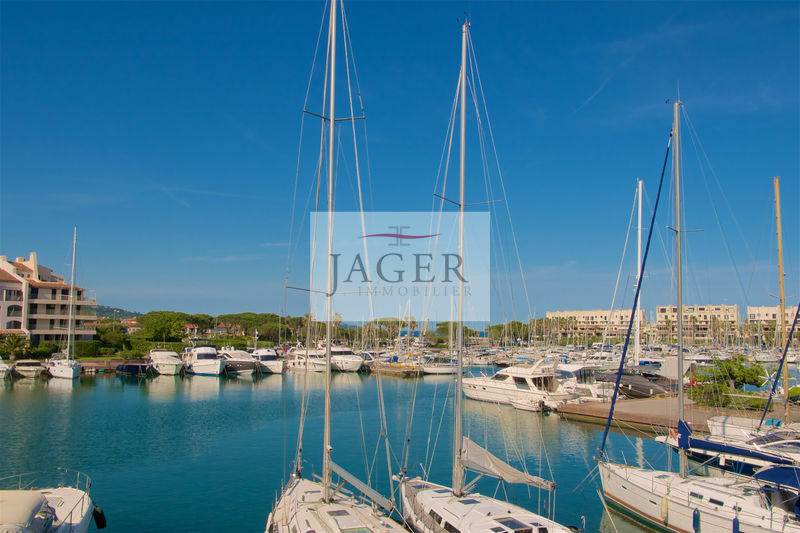 Jager Immobilier presents a renovated duplex in the heart of Port Cogolin in a secure residence with swimming pool. 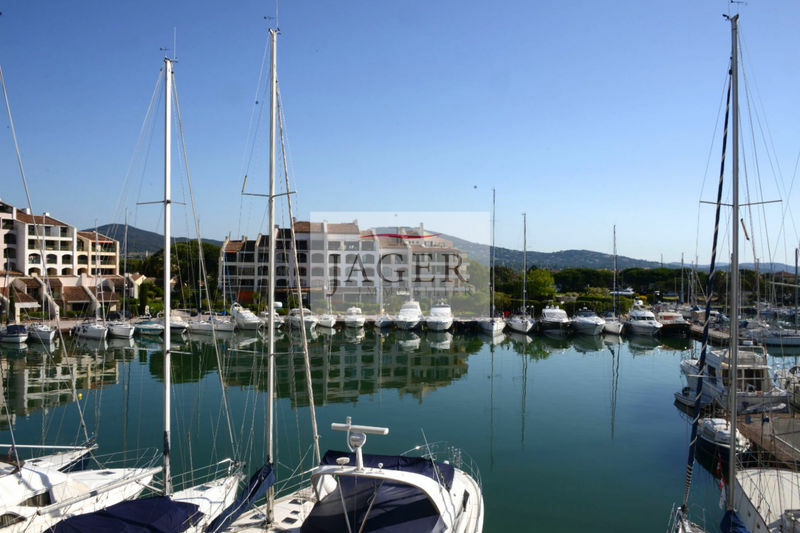 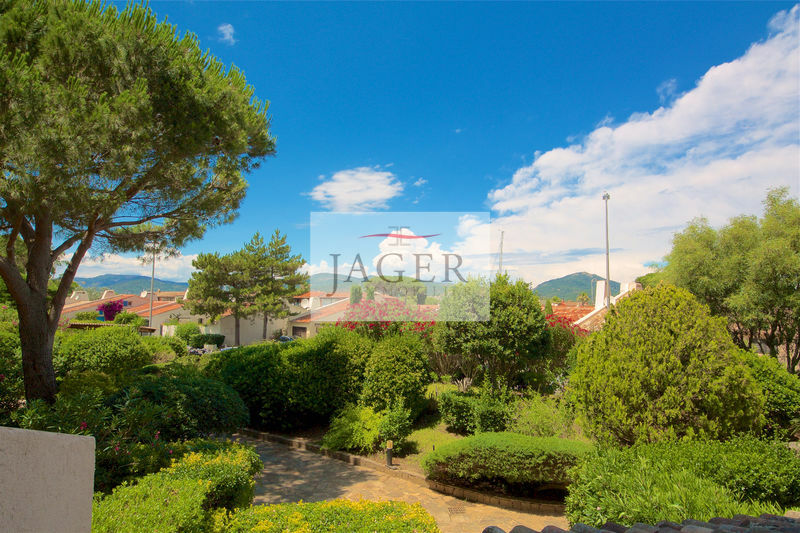 It offers a large living room with fitted kitchen, guest toilet, pantry, living / dining room overlooking the terrace with a beautiful view of the hills, the Giscle and boats. Upstairs; 2 bedrooms with wardrobes and a bathroom with wc. 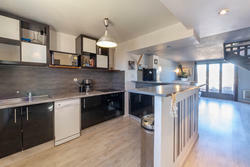 Closed garage in the basement. 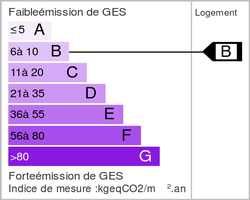 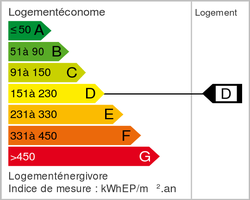 Water included in the charges.